Gwendolyn Parami with our Poverty Is Sexist petition! A few years ago I worked as a volunteer in Ghana and stayed with an amazing host family in a small town. At night we often would sit outside with candles spread around the compound, enjoying each other’s company. They would tell me African ghost stories in the dark and we would try to scare each other. Although we certainly knew how to entertain ourselves, we did not sit in the dark because we liked it that much; we sat in the dark because of the regular power failures. It was then that I realised that access to electricity is essential. We could not charge our phones. We did not have access to the television. Reading was hardly possible without light. We could not cook on a stove or cool our food sufficiently. Can you imagine facing these struggles every day? 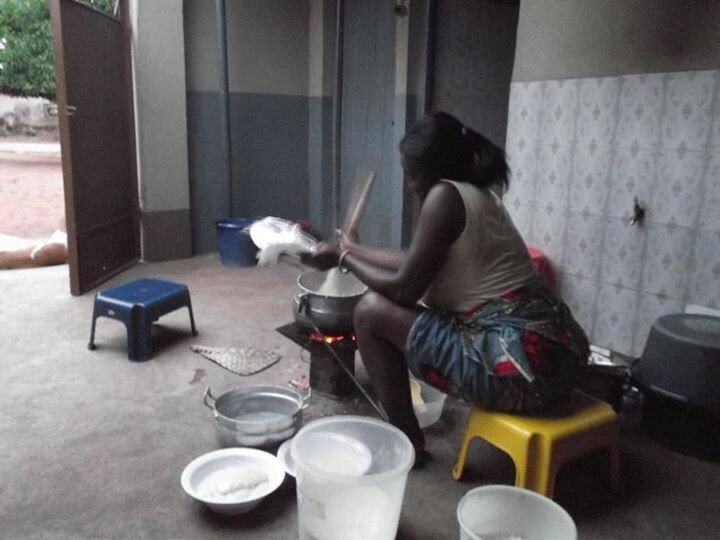 Without electricity we had to cook with traditional fuels. Daily inhalation of toxic smoke and fumes causes over four million deaths a year, mainly women and children. Not only in Ghana, but also in the rest of the world, the lack of access to electricity is an enormous problem. About 1.3 billion people – that’s nearly one-fifth of the world’s population – do not have access to electricity at all. Without reliable electricity and modern energy sources it is extremely difficult for a country to develop economically and reduce poverty. Without electricity how can you run a successful school, hospital, or business? With six ONE youth ambassadors from all across the globe, I will be travelling to New York today to fight against extreme poverty. We will campaign around the United Nations General Assembly and the Sustainable Development Goals Summit, a fundamental opportunity for our world leaders to change the current situation and end extreme poverty! We will specifically focus on the importance of #GlobaGoal number 7: ensuring access to affordable, reliable, sustainable and modern energy for all. The lack of access to electricity remains one of the biggest barriers to a country’s development and prosperity and by increasing access, it will be one of the biggest opportunities to eradicate extreme poverty for good. Without electricity I would not be able to access the plane today that I am travelling to New York in, watch the film on board, keep in touch with my fellow youth ambassadors across the world or write this blog on my laptop. My options would be severely limited and life, extremely different. What would your life be like without access to electricity? Let us know in the comments below!